The above-the-fold search result on Google is essentially the single most sought after piece of virtual real estate on the internet. It's enthusiastically sought by thousands of webmasters, to the point where ensuring high-quality results make it above the fold occupies plenty of Google's time. Search results display a lot more information today, much more than the simple blue link to click. Getting that information to be picked up by Google and other search engines, as Forbes contributor Brent Gleeson noted today, means including some extra data in one's web pages. Accomplishing this starts with a trip to Schema.org, a collaborative effort jointly managed by Google, Bing, and Yahoo. A schema is simply a framework. For purposes of ecommerce, it will be a framework of the structured data about the products one sells online. Getting Google to see this structure means incorporating some markup data into the templates used to define the content generated by a visitor's page visits. What schema.org has done is to collect several types of schemas that an online seller can use to incorporate microdata into a site. An example of how to markup content with microdata introduces two properties, itemscope and itemtype. Itemscope tells a search engine that a block of data is about an item, and itemtype can be used to define what type of item, like "product." Then, one uses "itemprop" to define properties about an item. For a product, one can define an item's brand, its reviews, dimensions, etc., in ways that a search engine can pickup and display in results. This provides a much richer listing in organic search than just a link. 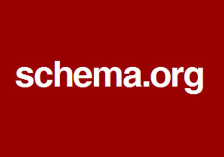 The listed schemas at Schema.org show how to place this data into one's pages. In a competitive marketplace, any way a seller can make their content stand out among others merits some consideration.